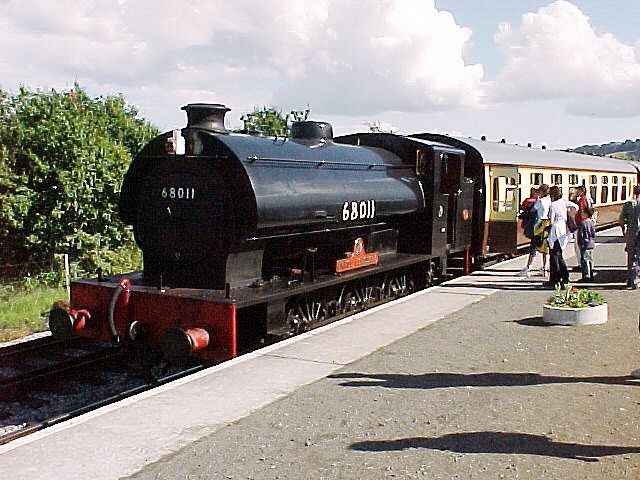 Ex-WD 0-6-0 'Errol Lonsdale' waits for the 'off' at Totnes Riverside. Totnes Riverside station is a new construction at the end of the line from Buckfastleigh. Built alongside the link to the main-line, Riverside is a short walk from the centre of the town.